Just in case you haven’t noticed, I’ve been doing a LOT of Vitamin C Serum reviews of late. For some reason since I joined Tomoson (an awesome site that connects brands with bloggers), I’ve been invited to participate in quite a few campaigns focused on Vitamin C Serums. 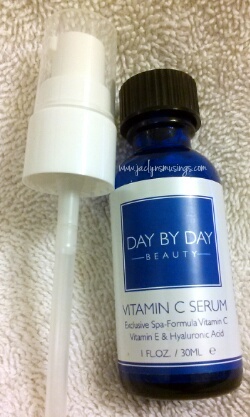 This time I had the chance to try out Day by Day Vitamin C Serum. I’ve got to say that the name alone reminds me of music from Hair. (Click HERE to find on Amazon). Vitamin C Serums are a great way to prep the skin for moisturizer as all of the serums I’ve tried contain Hyaluronic acid, which is able to swell and hold a LOT of water, which is great for (dry) skin. I always have chronically dry skin which can make even the lightest foundation look cakey if I’m not careful. But since I started using Vitamin C Serums a couple months ago, my skin has been a LOT less flaky than it was. There is no strong fragrance to this serum and just has a slight medicinal scent which is likely from the Witch Hazel that it contains. I hate strong fragrances and appreciate a more natural smelling skincare. You can easily purchase Day by Day Vitamin C Serum on Amazon by clicking HERE! I leave on a month and a half trip tomorrow! 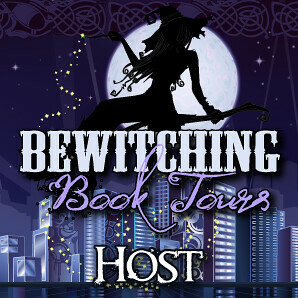 Still have some packing to do and arrangements to make. 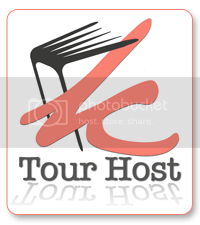 I hope to do some posting while I’m gone. So if you do send me an email please allow me a bit more time to read and respond. I recently posted a review of Adovia’s Dead Sea Mud Facial Mask that I’ve been just loving! So when the opportunity to review more Adovia products arose, I immediately jumped at the chance. So far I’ve really enjoyed using everything I’ve received from Adovia. Two more Adovia products just arrived a few days ago and I can’t wait to use them. Another reason I love Adovia products is that not only are they fabulous products, but they are all made in Israel. Whenever I get the chance, I prefer to purchase items from Israel. I feel like it is a small thing I can do to support the only Jewish state in the world. And I hope to be able to, G-d willing, visit Israel one day. Just like the Mud Mask, Adovia’s Dead Sea Mud Shampoo is also black in color. The scent is pleasant and isn’t too strong. I truly enjoy the texture and feeling of the Shampoo during and after application. I aways let Shampoo sit for several minutes before rinsing out as I use various haircare products and want to make sure I get it all out before starting the process again. Unlinke the Shampoo, Adovia’s Dead Sea Salt Conditioner isn’t black in color from the Dead Sea Mud, but white as it contains Dead Sea Salt instead of Mud. I always find it amusing when hair products say to use a dime or quarter size amount as I have fairly long (below shoulders) hair that is quite thick (which only took 4+ years to grow back after losing well over half my hair) as that minute amount would barely cover my scalp! Needless to say, I go through Shampoo and especially Conditioner faster than most. My hair LOVES conditioner! Since I have naturally thick curly hair, my hair is prone to always be chronically dry. My hair definitely seems to like this Dead Sea Salt Conditioner. After applying (significantly more than the directions state), I always let Conditioner sit in my hair for 5-10 mintues. Towards the end of that time I’ll brush/comb my hair. If I plan to leave my hair curly, I’ll only use a comb (no brush) out of the shower and so I’ll make sure to detangle my hair while the condtioner is still in. After washing my hair, I’ll add a few squirts of a hair oil to add further moisture and shine (but never greasy). If you like Dead Sea Mud and Sea Salt products, then you’ll LOVE Adovia’s Dead Sea Mud Shampoo (click HERE to find on Amazon) and Sea Salt Condtioner (click HERE to find this item on Amazon) with each selling for only $19! 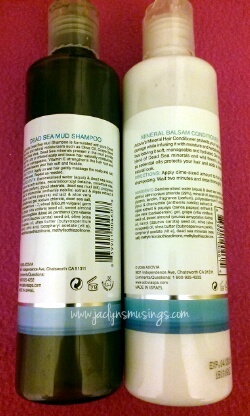 What types of Shampoo and Condtioners do you use? Do you or have you ever used Dead Sea Mud or Sea Salt products? I’d love to hear your thoughts in the comments below! 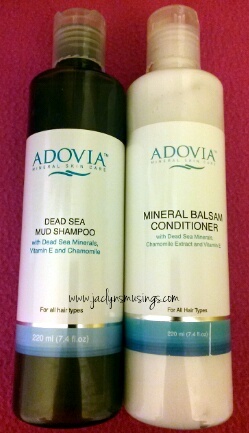 And please look out for my reviews on Adovia’s Mineral Lift Serum and Moisturizing Mineral Soap coming soon! Ever since I first tried Tarte’s Maracuja oil last December, I’ve been into using face, body, and hair oils like crazy! So when the opportunity arose to try InstaNatural’s 100% Pure Ultra Premium Emu Oil I jumped at the chance. Why spend more than triple (using the current price of Amazon) when there is a product that can work just as well for a fraction of the price. I also like that the InstaNatural version has a pump compared to the dropper that the Tarte version comes with which can be messier and/or more awkward to use. I like the silky texture, no scent, and quick absorption of this oil. I have naturally curly (and quite thick) hair which literally just drinks up any leave in conditioner or moisturizer I put in. I find adding half a dozen (to a dozen depending on how dry my hair is) pumps each morning when I’m brushing my hair leaves my hair silky, soft, and shiny, but never greasy. I’ll also use this as a facial moisturizer after I wash my face, but before I apply makeup. I squirt one to two pumps into the palm of my hand, pat lightly together, and then rub oil onto my face. I’ll let the oil absorb for a few minutes while I’m brushing my hair. Then I’ll blot off any oil let on the surface before beginning my makeup routine. Since I started using facial oils, I haven’t had to apply a layer or two of moisturizer on my chronically dry skin. Whether you have or haven’t gotten on the facial, hair, body oil bandwagon, now might just be the time to get aboard! Right now, you can purchase InstaNatural’s 100% Pure Ultra Premium Emu Oil on Amazon (just click HERE) for only $22.77 for a generous 4 oz. size bottle! Have you used any facial, hair, body oils? If so which ones? If not, is it something you are interested in trying? Please let me know below in the comments. I’m back with another Vitamin C Serum this time from Le Beauté Pure (click HERE to find on Amazon)! I’ve had the pleasure of trying several Vitamin C + Hyaluronic Acid serums of late. So as to invoke the memory of being told that Vitamin C is found in oranges, pictures of oranges are on the front of the bottle. Since there are images of orange slices on the front, I had hoped that this one would have the scent of oranges like the very first one I tried, but sadly, no hint of a scent of oranges. That said the scent is medicinal in nature and I’m guessing is from the Witch Hazel, which IS one of my favorite natural skincare ingredients. 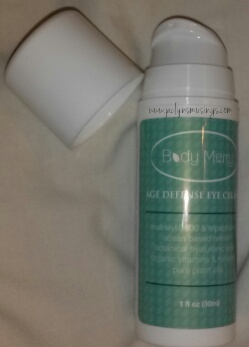 This was the first bottle I received that came with a flat topped lid with the eye dropper packaged separately. While I haven’t had any issue of leaks with any of the other bottles, I like that I have a choice as to which lid I keep on the bottle. The bottle states, ” This serum is a concentrated delivery system for the highest form of active, bio-available Vitamin C for beautiful skin. Suspended in a concentrated base of pure vegan hyaluronic acid to plump skin cells and protect and restore” While I”m not sure if I can tell (yet) whether if there are any changes, I look forward to continuing to use Le Beauté Pure Vitamin C Serum over the coming weeks/months. I do however notice that my skin is often MUCH less red in morning before putting my makeup on than before I started using Vitamin C serums. That is a HUGE improvement in the skincare appearance department as it means I can wear lighter (sheerer) foundation which is a huge advantage as it looks much more natural and is more durable in the heat. Have you tried any Vitamin C, Hyaluronic Acid, and/or other anti-aging serums? Which ones have you tried or want to try? Is anti-aging ‘treatment’ or prevention a skin concern of yours? Please share in the comments below!